501 Squadron – Raymond John Mitchell Gent was born in 1916 at East Preston, between Littlehampton and Worthing. In the 1911 census his father gave his occupation as railway clerk. 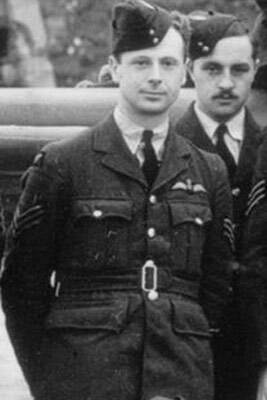 He joined the RAFVR in June 1939. Called up on 1st September 1939, he completed his elementary flying training at 15 EFTS Redhill then moved to 5 FTS Sealand for Course No. 47. This ran from 29th April to 25th July 1940. He was posted direct to 32 Squadron at Biggin Hill on 27th July 1940. Gent arrived there with two other newly-trained pilots, Sergeants TG Pickering and SAH Whitehouse. The CO, S/Ldr. J Worrall, would have none of this and after the new arrivals had made a few short flights they were sent to 6 OTU Sutton Bridge on 3rd August. Having converted to Hurricanes, they rejoined 32 on the 25th. Two days later the squadron was ordered to Acklington for a rest. Worrall said that Gent, Pickering and Whitehouse were not in need of a rest and they were posted to 501 Squadron at Gravesend on the 28th.Gent claimed Me109s destroyed on 5th September and 25th October. 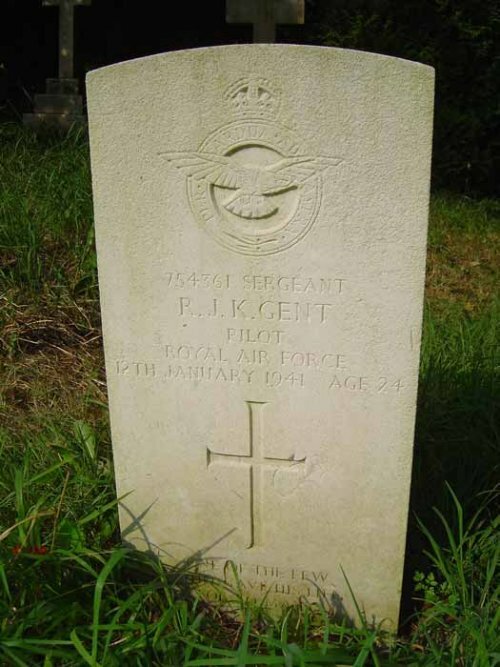 Whilst ferrying a new squadron Magister, V1028, from Kemble to Filton on 12th January 1941, Gent crashed at Greenore, Wells after hitting some trees in low cloud and was killed. He was 24 and is buried in St Martin’s churchyard, Ashurst, Kent.